Here is a photo of Insecurity In Haiti. 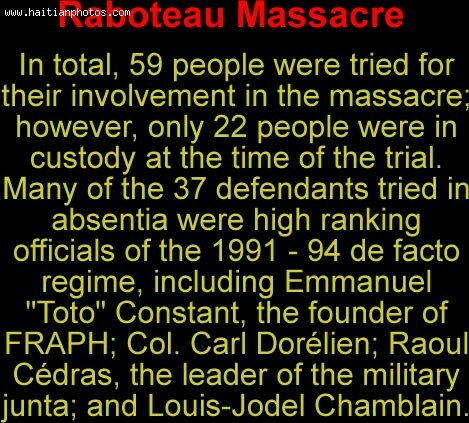 Massacre in Haiti. There are continued allegations of police complicity in criminal activity in Haiti.